Shout out to Heat Varsity Elite Player Ashlei Lopez(Lutheran High, Class of 2017, Guard) for being selected to the USJN Pool All Star Team for the Gateway Classic held last weekend in St Louis! Ashlei had a great weekend that showcased her full court defense that resulted in multiple steals and points! Her scoring abilities are clear as soon as she starts, she can easily knock down 3 pointers and get to the rim with ease! Ashlei is a left handed player that has nice on ball defense and offensively will easily catch defenders off guard by setting them up going right and hit them with a quick left cross that helps generate easy drives to the basket. It’s easy to see why Ashlei already has a Div 1 offer. Ashlei is a player that ALL college coaches will want to watch and get in contact with ASAP! Kaitlin Young Selected as USJN All Star! 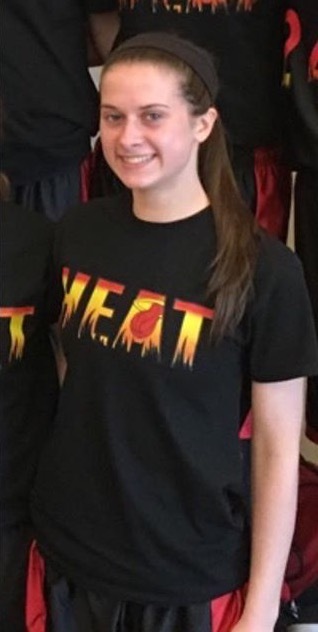 Shout out to Heat Varsity Select Player Kaitlin Young (Hononegah High, Class of 2018, Guard) for being selected to the USJN Pool All Star Team for the USJN Gateway Classic held last weekend in St. Louis! Kaitlin is a high energy guard that attacks the rim and gives 110% on both sides of the ball! She played nice full court pressure defense that helped generate turnovers. Kaitlin has a nice 3 point shot with a great midrange jumper. Kaitlin is a player that all college coaches will want to watch and get in contact asap! Great Job Kaitlin and keep up the hard work! 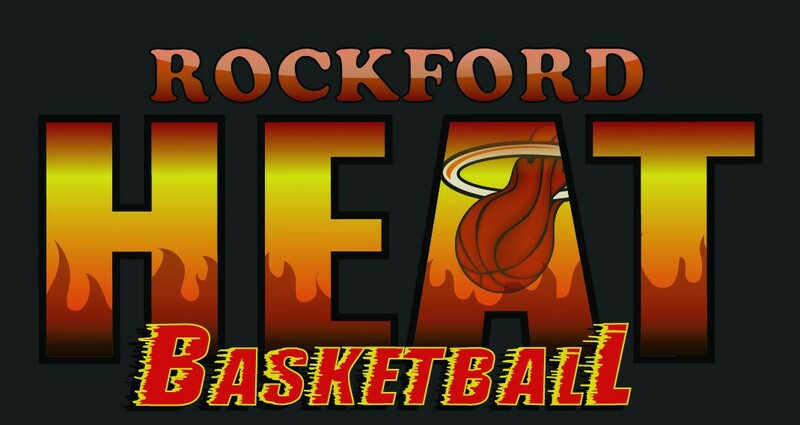 Shout out to Heat Freshman player Hannah Malcomson (Shooting Guard, Rockford Lutheran High School) for being selected to the USJN Pool All Star Team for the USJN Gateway Classic held last weekend in St. Louis, MO! Hannah is a guard that does a great job bring pressure defense and helping create turnovers Hannah is a quick guard that can get down the floor quickly in transition, knows how to get in position for scoring! Hannah is a shooter with nice range and knocks down the 3 pointer at a high percentage! Hannah Malcomson is a player that all college coaches will want to watch and get in contact with! Georgia James Selected as USJN All Star! 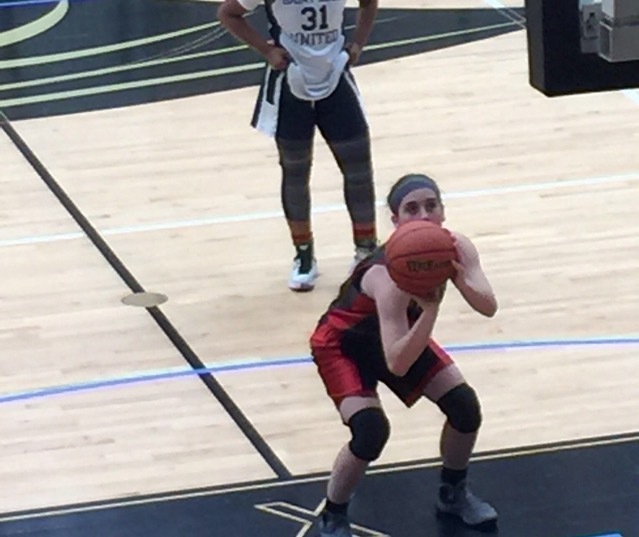 Shout out to Heat Sophomore player Georgia James (Guard, Freeport Aquin High School) for being selected to the USJN Pool All Star Team for the USJN Gateway Classic held last weekend in St. Louis, MO! Georgia is a guard that does a great job on the defensive end especially in creating turnovers and converting them into points. Georgia does a great job distributing the ball to teammates and collecting assists! Georgia James is a player that all college coaches will want to watch and get in contact with! Malia Shank Selected as USJN All Star! Shout out to Heat Sophomore player Malia Shank (Forward, Winnebago High School) for being selected to the USJN Pool All Star Team for the USJN Gateway Classic held last weekend in St. Louis, MO! Malia is a forward that does a great job getting rebound and especially on the offensive end. That hard work usually results in nice put backs for easy buckets. Malia shot the ball well using her mid-range jumper and connected all weekend. Malia has nice size that helps in defending players at any position! Malia Shank is a player that all college coaches will want to watch and get in contact with! Ambranette Storr Selected as USJN All Star! Shout out to Heat 8th Grade player Ambranette Storr(Shooting Guard, Flinn Middle School) for being selected to the USJN Pool All Star Team for the USJN Gateway Classic held last weekend in St. Louis, MO! Ambranette is a guard that attacks the rim and has great range from the 3 point line while also knocking down jumpers easily! Ambranette has nice size that she uses to her advantage for scoring and defending! Ambranette is a player that all college coaches will want to watch and get in contact with! Maddy Williams Signs With UW-Lacrosse! Shout out to Maddy Williams(Winnebago High) for signing her Letter of Intent to play basketball at the University of Wisconsin-Lacrosse next season! Maddy had a great finish to her Senior year, she played all positions and had great finishing abilities around the rim and could knock down a jumper or 3 pointer! Some of the accolades that Maddy was selected for was All Conference in the Big Northern, Rising All Stars Game, and All State Honorable Mention! Maddy will be looking to Major in Biology/Pre Med while playing basketball! Not only was Maddy a great athlete, she was named Winnebago Salutorian and Athlete of the Year! Great job Maddy and Keep Up the Hard Work!